Two top managers disagree profoundly. Abel, CEO of a happening young startup, believes that if he gives his team room to be creative, everything will fall in place for the company. Abraham, President at a large real estate agency, won’t hear a word of it. According to him, you need to give people context – in terms of clearly defined responsibilities, processes and roles – so that they can channel their creativity to improve the organization. Neither of them is completely right. They are right in their own situations. 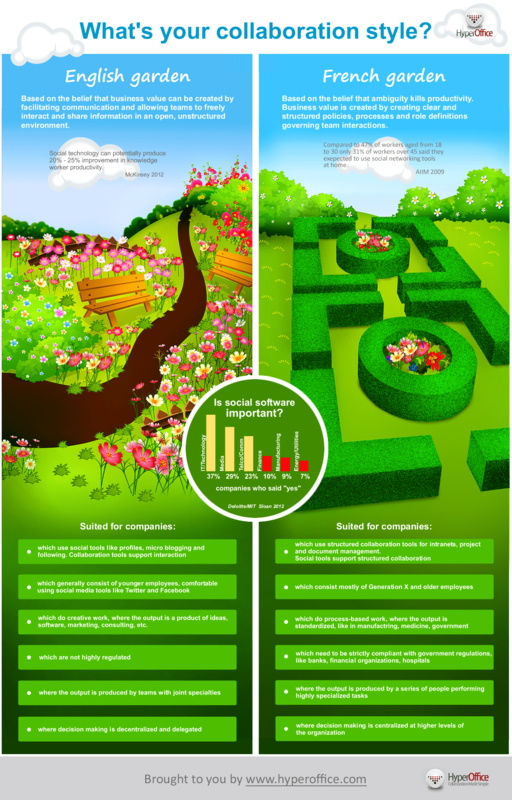 Through a gardening metaphor, the following infographic studies these two broad approaches to collaborating in organizations. Which one are you?